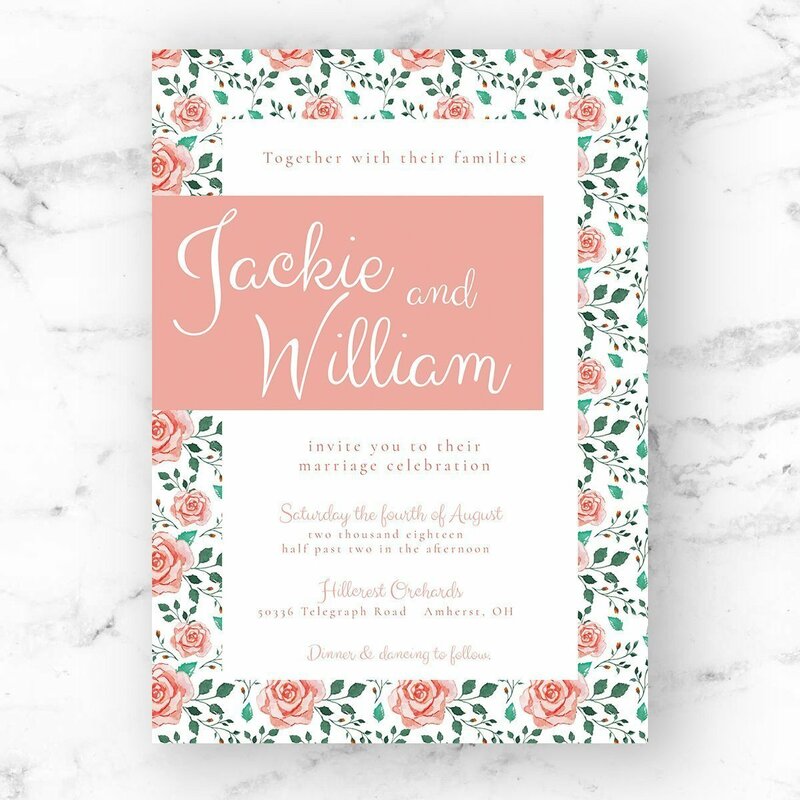 The Jackie Suite is inspired by floral designs of the past decades. 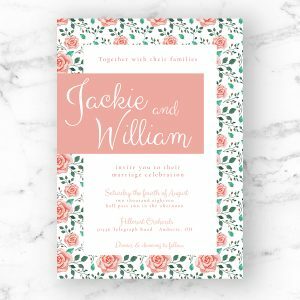 It has been designed with a mix of a timeless pattern and a modern script, which makes it one of the most unique designs in the shop. 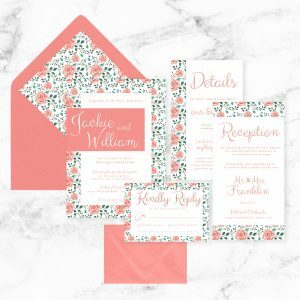 The coral and green throughout the suite compliment each other perfectly. 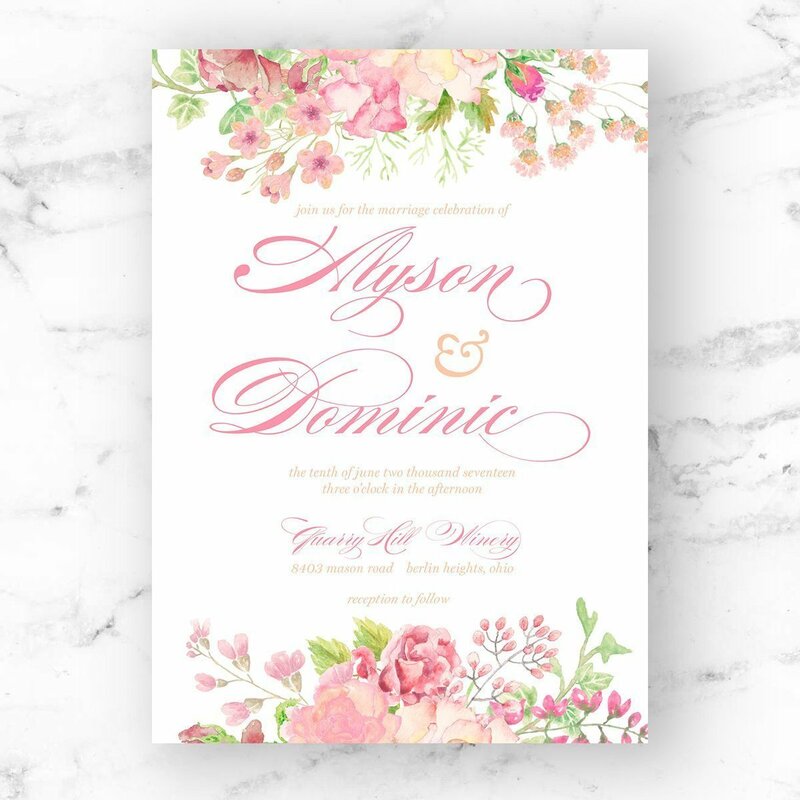 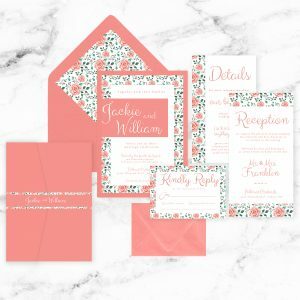 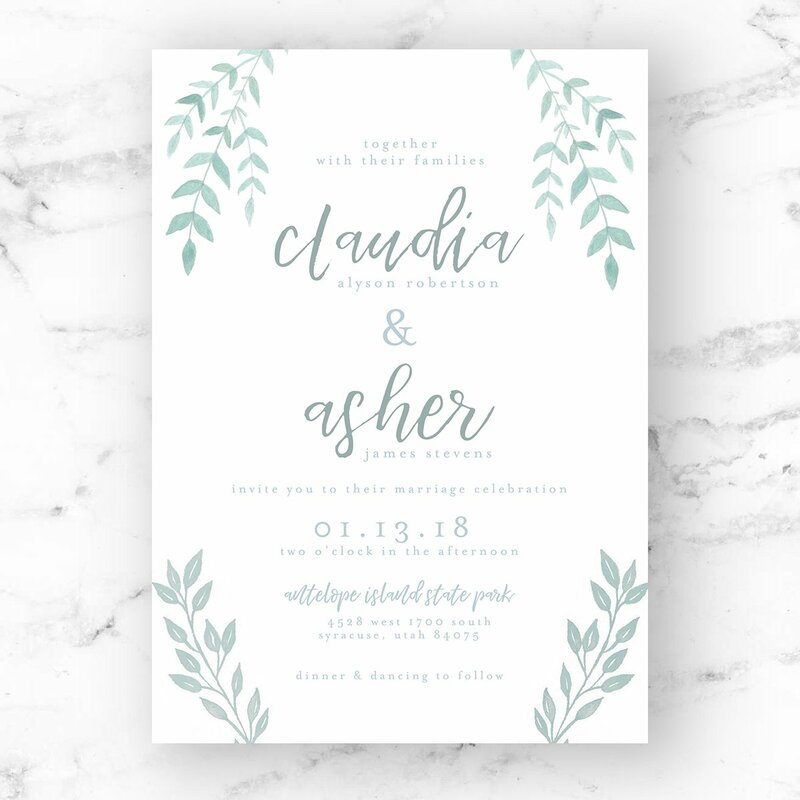 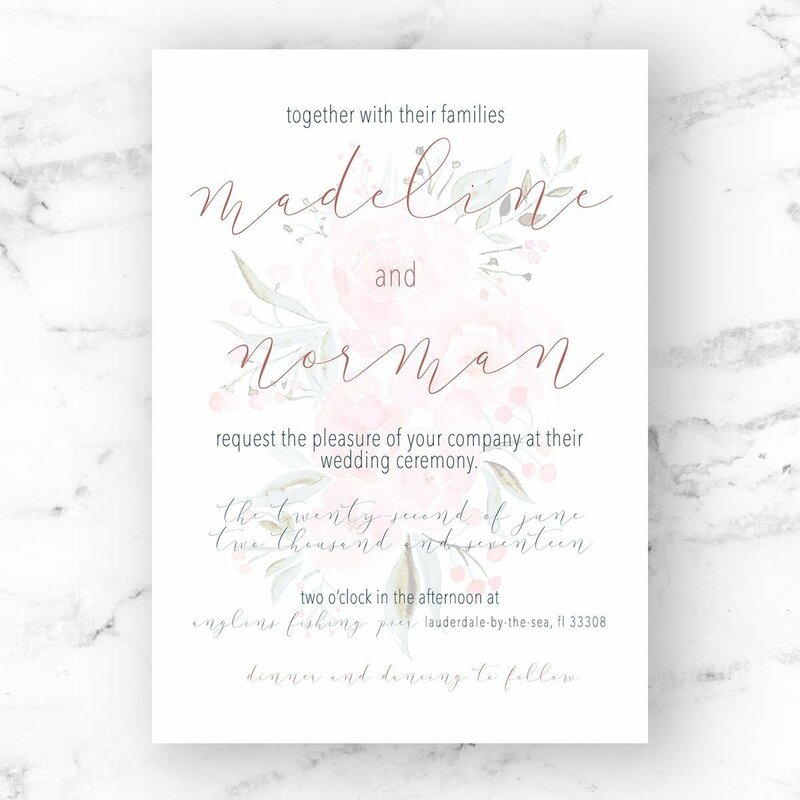 The Jackie looks gorgeous as a triple layered invitation: the floral background layer, the invitation layer, and the coral name layer.